VIETNAM Vietnamese priests who follow the Communist party elected to parliament. The faithful are angry. Vietnamese priests who follow the Communist party elected to parliament. The faithful are angry. The Election Commission has released the results of the 22 May general elections. Two priests will sit in the National Assembly, five more will take position at the provincial level. The decision, contrary to the directives of the bishops, undermines "the credibility of the Church." The youth are angry for the "scandal." 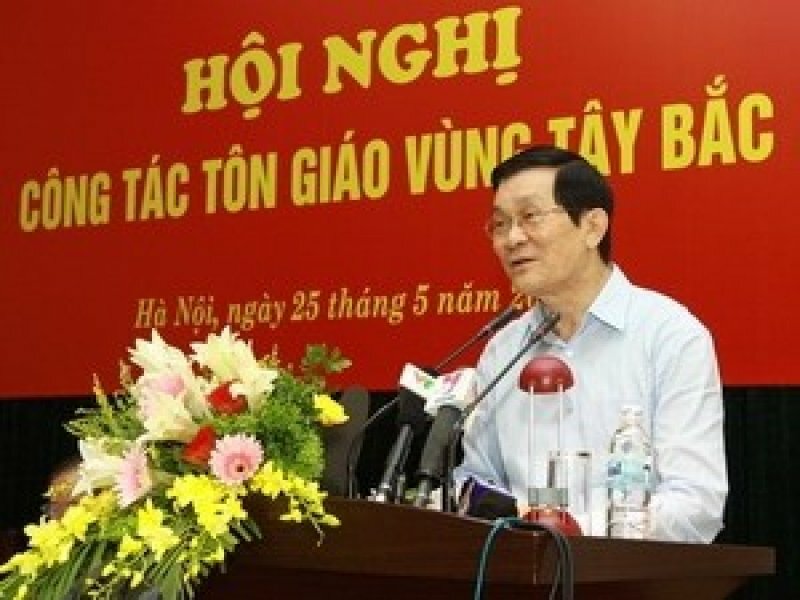 Ho Chi Minh City (AsiaNews) - Seven Vietnamese priests have been elected to the National Assembly or Provincial Councils, for which they have submitted the application to the general elections held on 22 May. 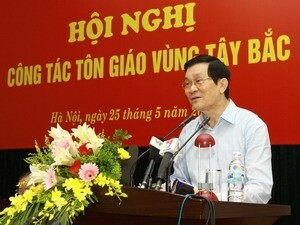 This official results were released today by the National Electoral Commission of the Government of Vietnam. Two priests were elected to Parliament, and another five will be appointed at the local level. The candidacy of Father Phan Khac Tu of Ho Chi Minh City, however, failed following his claim during the election campaign to have manufactured bombs in a church in Saigon during the war in Vietnam. The Catholic response has been strong – both from lay and religious – in response to some priests’ decisions to participate in political activity, which would deeply undermine "the credibility of the Church." At the national level Father Tran Manh Cuong, from the Diocese of Ban Me Thout, and Father Le Ngoc Hoan, from the Diocese of Bui Chu, were elected - each occupying a seat in the 13th National Assembly of Vietnam. Five priests were elected to the Provincial Councils: Father Do Quang Chi in Ho Chi Minh City and Father Phan Dinh Son in Can Tho, a city in the south of the country. In addition there are Father Nguyen Van Vinh, Father Nguyen Van Hau and Father Hoang Thai Lan – respectively - of the Diocese of Nha Trang, Ba Ria and Vinh, who kept their seats in Khanh Hoa, Ba Ria-Vung Tau and Quang Binh. Finally, another 20 priests have been selected to represent a lower level. However, not all priestly candidates won a place in Parliament or in the Councils. Besides the case of Father Phan Khac Tu (editor of a magazine founded in 1975 who is often critical of John Paul II and the Vatican), Father Tran Van Qui in Hue defected, thanks to a strong opposition campaign waged by local Catholics against the nominations of priests. However, many believe that the result of the election had been pre-determined by the Communist Party before the actual voting, and that Fr Tu and Fr Qui had to “give way” for some other more important communist figures. The nomination of priests in the recent elections has raised bitter debate in Vietnam. Opponents point out that the Canon Law - Article 285-3 - forbids the clergy from holding public office or political roles, except in exceptional circumstances and with special exceptions granted by ecclesiastical authority. In an open letter to Church leaders in Vietnam, many priests including Fr Nguyen Van Ly – a dissident who spent 15 years in prison - argue that adherence to components of the Communist Party is one of the prohibited acts, and ask the bishops for disciplinary action against guilty priests. The controversy has also been addressed by Cardinal Jean Baptiste Pham Minh Man, archbishop of Ho Chi Minh City, who sought (see AsiaNews 23/05/2011 Archbishop of Saigon: The government respects religious freedom) to block the candidacy of Fr Tu. The priest, among other things, is also vice-chairman of the Committee for Solidarity of Vietnamese Catholics (CSVC), a pro-regime organization that wants to create a separate Church from Rome on the Chinese model. The decision of the archbishop to forbid the priest from celebrating the sacraments - opposed by the Communist leaders, who organized "spontaneous" demonstrations - was not enough to block the nomination. Also, Fr Tu continues to celebrate the sacraments regardless of the admonition from the cardinal. Of the more than 2,800 Vietnamese Catholic priests, several hundred have joined CSCV who, though has not promoted "division," continues to create problems and obstacles within the Church. However, no priest of Hanoi - the capital of Vietnam - was a candidate in the last election. Speaking to AsiaNews about the presence of representatives of the Catholic clergy in the government of the Communist Party, Father Joseph Nguyen of the Hanoi archdiocese notes that it "in no way improves the condition of the Church” because they “have never raised a voice against the repressions and the forced evictions of land." On the contrary, as violations of religious freedom worsen – such as physical abuse against priests who dare to challenge the regime - the priests close to the Communist Party have called for "more severe punishments against brothers and sisters." Working closely with young people, Father Joseph Tran adds another very important aspect: "Their presence in communist organizations has deeply undermined the credibility of the Church and the effectiveness of its mission," he told AsiaNews. The priest said that it is difficult to make students understand the blatant violation of canon law, but they are "vigorously against this scandal that involves the Church in Vietnam."